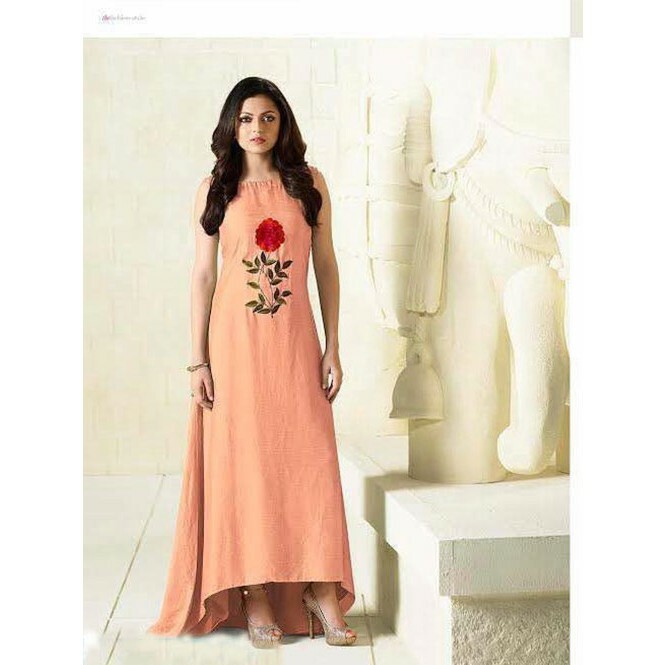 Catch Out Best Look For The Day With This Awesome Orange Colored Embroidered Kurti today. Fashion following feminine would be amazed with its glazing impact which will match with casual accessories. The art of self-expression which gleams your beauty. The majestic throw which it pour on your personality is amazing. 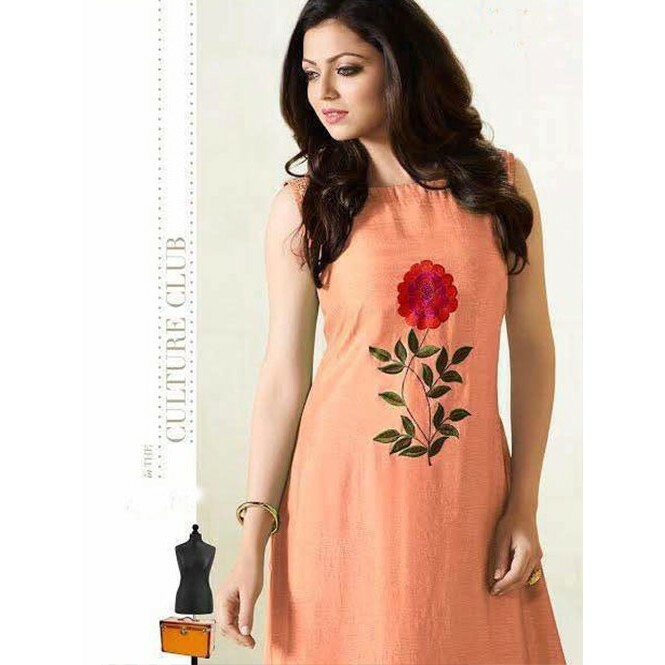 Be stylish with your choice and flaunt in best fashionable wear. The trend march is sober and sustains the livelihood of the beauty.